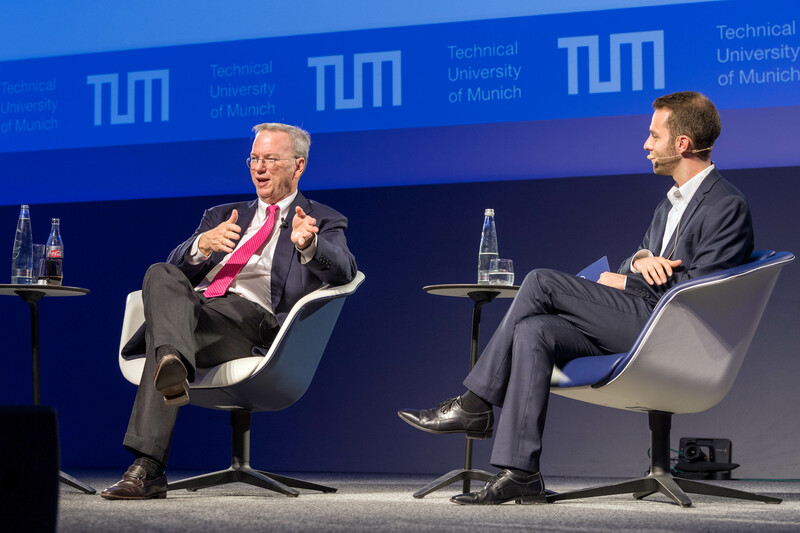 On February 16, 2018, Eric Schmidt, former CEO of Google, held a talk at the TUM Speakers Series . Schmidt drew a very positive picture of the current development that algorithms more and more take over tasks that humans did before. More specifically he referred to the healthcare domain. Schmidt explained that in his vision machines will not replace humans. Instead algorithms bring a huge chance to improve our society and our human being. He talked about algorithms doing a much better job than humans when it comes to analyzing big data sets. He took medicine as an example where algorithms can support doctors by analyzing x-ray, CT, or MRT pictures with significantly better accuracy. Algorithms manage to find anomalies in much earlier stages resulting in better healthcare. Regarding data analytics, Schmidt said that almost every startup on the planet would currently be doing the same, namely 1) collect data, 2) apply Artificial Intelligence (AI) algorithms for data analytics, and 3) sell the resulting data. This shows how much AI is dominating the current economy already. AI is part of many products and services we use on a daily basis. Schmidt also compared AI to life changing technologies such as the invention of the Diesel engine, or of the refrigerator. From his point of view, AI has at least that potential. It will change our lives forever, and that revolution can hardly be stopped. In 30 years things would be very different. AI would be as convenient as using combustion engines or fridges. Schmidt does not expect the killer robot to become reality soon. Though he made this statement, Boston Dynamics (from 2013-2017 an Alphabet (Google) company ) among others is a company developing robot technologies for use in wars. I do therefore not share his statement though I agree to his explanations of the positive uses of AI in medicine. Instead of killer robots he sees much more potential and also need for robots supporting people. He drew attention to our ever aging societies. The demographic upside down pyramid results in more and more old people needing care by the less and less young people. He stated that this situation would be the reality in the US, northern Europe, Japan, and even China. As a result of this development, either people would need to become much more productive. As this is unrealistic, robots would be needed. Schmidt sees robots and algorithms as tools, and tools would always have been helpful for society. Coming back to AI he mentioned why one could currently get the impression that AI is not always good for humanity. He referred to research by Microsoft where AI was used to mimic human behavior in chats . As typical for current AI approaches, in a learning phase the algorithms continuously “learn” by observing human behavior. Then they try to mimic what they learned before. Quickly the Microsoft algorithms became racist and started hate speech. Though this might be seen by some people as proof that AI can be evil, it rather shows a mirror to the society in the chats that were used for the learning. Apparently those people were exactly racist and doing hat speech. This is why the AI developed into that direction, similar to a baby that mimics the parents. Pushing this research further and adapting it also to other application fields such as Facebook posts, Google would currently be working on an AI tool that allows to specify, which level of hate one would tolerate. The AI algorithm thereby becomes an automated moderator for Facebook for instance. Such algorithms keep humans in the loop but put them into the position of giving high level orders such as “5% hate is okay”. What the algorithm does then exactly to reach that level is left to the autonomous algorithm. While Schmidt again emphasized the positive effects, you should be aware that the work of such algorithms is always a censorship. Similar to the algorithms that define the content of your Facebook timeline, the described algorithms will keep information away from you. That is normal and we are used to it. A newspaper is for instance giving us a biased view starting by the selection of the news and going to the writing style and the opinions of the authors for instance. With algorithms doing personal filtering this is different though, as the filtering is individual. I will get a different filter bubble than you – even if we get the same information as raw input to our personally trained filter algorithms, e.g. in Facebook. As a result, each of us gets her own digital reality. The control over our reality is by the algorithms and their owners, the companies like Facebook, Google (e.g. search), Snapchat, Instagram, etc. According to Schmidt we are at the beginning of a new fundamental transformation that is caused by AI. According to him it will soon make the world an even better place. I agree. Artificial Intelligence already started changing our lives fundamentally. Only we are often not aware of it (yet). 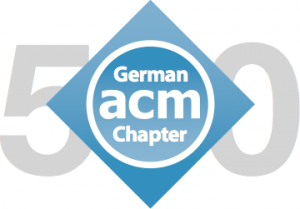 I am looking forward to discussing about this article with you! Also let me know in the comments if you want to read more about AI chatbot research, killer algorithms, filter bubbles, or what you would be interested in after reading this article. Next Next post: Redemption through Machines?